Ramniklal Jogiya went missing as he walked home from work and was forced into a vehicle by masked men. The 74-year-old ran the jewellery store Vama on Leicester's Belgrave Road, known as the Golden Mile due to its row of jewellery shops - mostly run by Indian-origin merchants. London: An Indian-origin jeweller has been found dead in the UK after being reported missing, prompting police to launch a murder investigation. "He was heading home to his family for the evening, before he was taken," said Detective Chief Inspector David Swift-Rollinson, from the East Midlands Special Operations Unit, as he released CCTV footage today of Mr Jogiya's last seen movements. "Did you see anything unusual? No matter how small it may seem, it may be key in this investigation,"he said in his appeal. 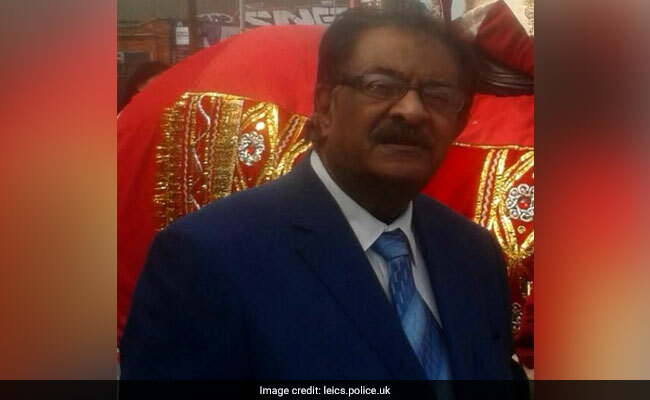 Mr Jogiya was reported missing on Wednesday evening following his failure to return home from work, and a missing person inquiry was launched by Leicestershire Police. Initial enquiries established that he was pulled into a vehicle and taken against his will from Belgrave Road. It is thought that an incident at his shop was a pre-curser to the events leading to the death, police said. Mr Jogiya's body was recovered from Gaulby Lane in Stoughton area of Leicester. A post-mortem examination has taken place and a murder investigation has been launched as police officers try and piece together the movements of Mr Jogiya as he walked home from work.